You must make reservations at least 5 minutes in advance of the time at Loloan Lobby Bar. Free parking available at the Marsland Centre (BMO building) located at 20 Erb Street West. 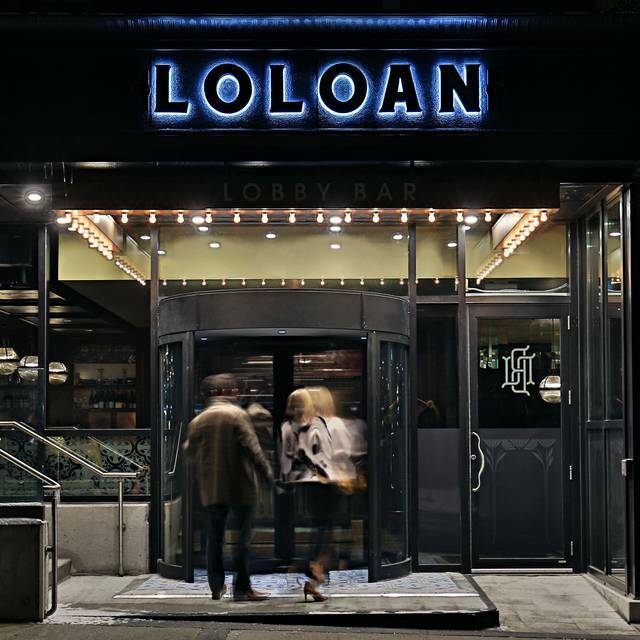 Welcome to Loloan Lobby Bar, a place of calm and refuge in uptown Waterloo. This considered design harkens back to days of elegance, grace and value. 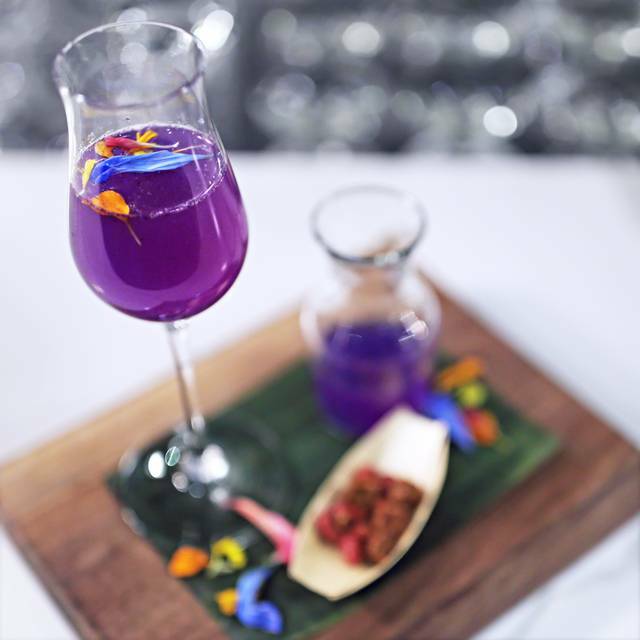 We offer classic, timeless cocktails and lobby bar inspired South East Asian cuisine in an intimate and cozy setting. Guests can also experience the luxurious, private atmosphere of the Map Room, located upstairs of the main dining area. 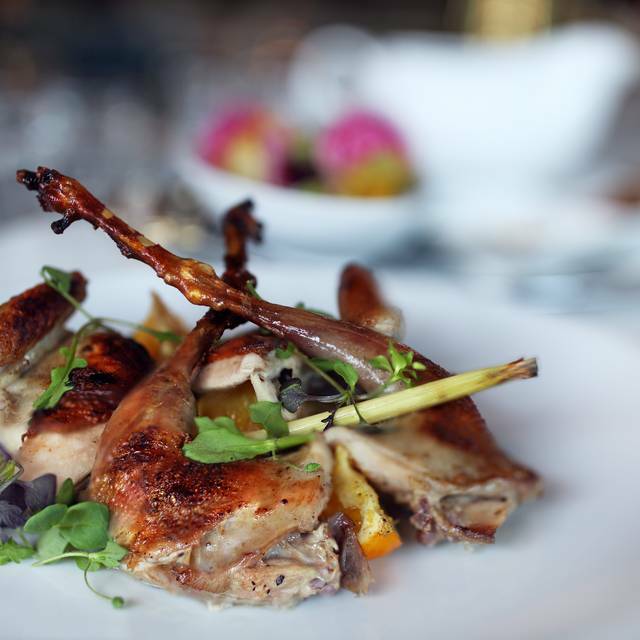 Our esteemed chefs will create a menu tailored to individual tastes, as our world-class sommelier pairs each dish with the appropriate wine, spirit, beer or cider. Menus are flexible and can be created in a number of courses, styles and flavours for up to eight guests. Lovely atmosphere for high tea. I loved that the selection of sandwiches and desserts was different than the last tea and I can’t wait to see what flavours the next time has!! 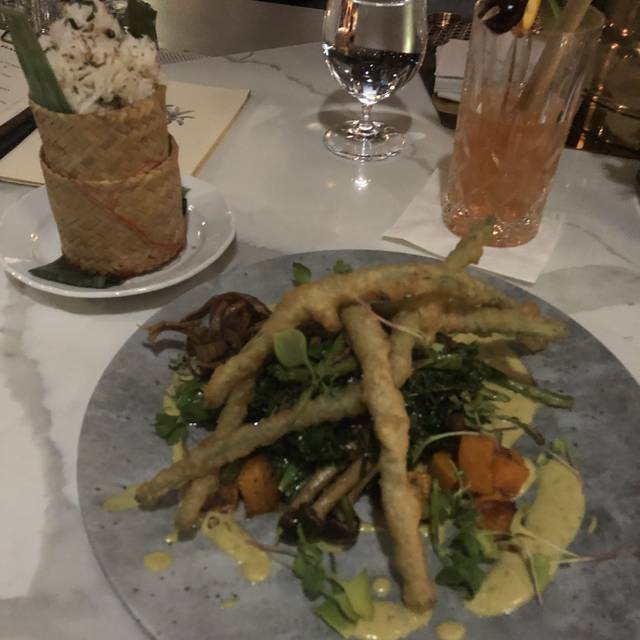 The food was incredible, the cocktails were to die for and the whole experience was awesome! Unfortunately I can’t give this place 6 stars. Everything was perfect. Our visit to Loloan (which we'd been anticipating for months) really disappointed. Most of the food was delicious-don't get me wrong-but the price point was through the roof for small portions. 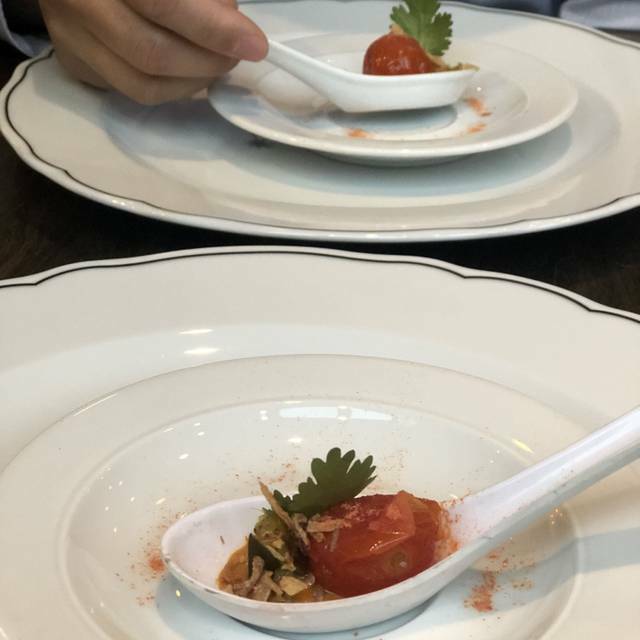 What really was lacking was the service-we waited a long time for our order to be taken, and despite being polite and cordial were told we didn't understand "fine dining" (I'm from a large city and have been to many world class restaurants) when we lightheartedly noted the portions were smaller than Bhimas. We mistook another order and got lectured that if we'd been to Bhima's we would've "understood it" and were shamed into eating it anyway. We won't be back. Great food and the service was outstanding. Ambiance of the restaurant and bar is nostalgic....of maybe the movie Casablanca. Will be returning soon. Love the ambience and decor of this restaurant. Fining dining with a casual flair. The service is always spectacular and friendly, the team makes you feel welcome and appreciated. The Mango salad was an excellent choice to share as an appetizer, with sweet and spicy notes. Highly recommend the trout and its twist to make your own wraps. The experience is like going on an adventure in tastes and presentation! You HAVE to try this place out! Rare to find dishes that very well cooked and served. Very pleased to have such restaurant in town. We will go again! Great service and food, we are longtime Bhima’s clients and wasn’t sure what to expect and was pleasantly surprised. We will be going back. 4 stars over all only because there is always room for improvement. Tasty dinner. Shared an appetizer with my dinner partner and waited almost 40 minutes after we finished the appetizer before our main dishes were served. I asked the waiter if it would be coming out soon and they said the dish we ordered takes 30-40 minutes to cook. That’s fine but there was no forewarning; if we had known that we would have ordered something else. Overall it was a good dinner and the food was cooked very well, but for the price point and service I don’t think it’s on my “favourites” list. You are missing your Mark. Food is good but not worth the value. I do not mind paying for great food. Dinner and menu was nothing exceptional to make us want to come back after three visits. It is a real shame as the Loloan is a disappointment when compared to Bhima's where the food is often exceptional and worth the price. Not sure if will go back until there is a revamp of food. We were a table of 4 and really happy that Loloan had a separate vegetarian menu. The setting is amazing and the food was delicious. Great beverage selection and a very attentive server. This is one of the best places to eat in town. The flavors are unlike any other place in town. Bhimas Warung is a close second but the atmosphere here is modern and pleasant. We were expecting more seafood choices on the menu. My beef tenderloin was a heavy meal, but cooked impeccably. More local craft beer always appreciated. Have already talked about a return visit. The pre fixed menu ended up to be more good than we could eat but was very good! I like everything about the place. Excellent food and drinks, friendly and helpful staff, super cool decor. My new favourite place for a nice dinner. Food was pretty good, though as a vegetarian I found the selection a bit limited compared to the original Bhima's restaurant. Spice level was quite varied, some dishes not very spicy and some close to my limit. Don't let the name throw you off. Dining here is an amazing experience! I had the prix fix. The flavors are so unique, unlike anything I've ever had. It was refreshing to see everyone who worked there taking ownership and personal pride in the establishment. Our waiter was very knowledgeable and friendly. The wine and cocktail pairings worked synergistically with the food. The timing of each course was perfect. It was the best meal I've had in years. I loved the romantic decadent ambiance. This is the perfect location to impress a date or colleague. My main complaint is regarding the washrooms - they all ran out of hand towels to dry your hands, and the toilet tanks are funnily attached to the highest point on the wall near the ceiling, with no cover to disguise. One of the washrooms had mirrors awkwardly placed on an entire wall, including beside the toilet. If those few items were addressed, I'd say this restaurant would easily rank among the best in North America. The food was fantastic, the staff excellent, the atmosphere like no other. Wonderful ambiance, exceptional service and delicious food! A visual treat! Very creative cocktails. We chose 3 appetizers, and our server let us know when we ordered the green mango salad that is was spicy hot! Almost too hot. We shared a vegetarian Sayur Lodeh, all fresh and lovely blends of flavours and an octopus appetizer. There were no dinner features offered. We would certainly recommend Loloan. However, if your tastes do not run with trying foods not found in any other local restaurants you could be limited in choices. Booked a dinner for 2 on Valentine's Day weekend (Saturday night). Original booking said it would be high top seating. We were immediately seated at a regular table (which was good....we just didn't think it was happening). Fixed price Valentine's menu, but nice because you don't HAVE to get an app, entrée, dessert, just whichever(s) you want. Ordered drinks....wine came fairly quick, but they didn't have the kind on the menu. Cocktail (Whiskey Sour) came after about 10-15 minutes. I suppose they make them very nice and special at the bar, but it took too long. It was great, however. Our food was great. We passed on dessert but it also looked delicious at the tables around us. Our bill at the end had an extra drink on it, but the waiter was quick to correct it and apologized. We would dine here again....or at the very least, drink here again. The food was very good. The service was terrible, and definitely not on par with the food or the price! Our server had a very surly demeanour: he brought drinks for half the table and followed 5 minutes later with the other half, with no apologies or explanation. He didn’t take our wine order. He balked when he was asked for milk for the tea . Unfortunately, the service had a huge negative impact on the whole dining experience. I would go again just for drinks. Service: our waiter was really dry. Like he wasn’t interested in being there. The bartender who brought the drinks was great!! Did more explaining about the drinks than our waiter did about anything. Don’t know his name, but the bartender had a ponytail. Food: I had the Valentines seafood main... not much seafood and not much taste. Also heard the table next to us complain about the same dish. For $52 I would have expected either more quantity or flavour. The pheasant dish was good. The app was okay, the oyster trio. But not for the price. As mentioned, I would go again for drinks, but go to Bhima’s if we want food. Overall was disappointed with the experience, thought it would be way better. 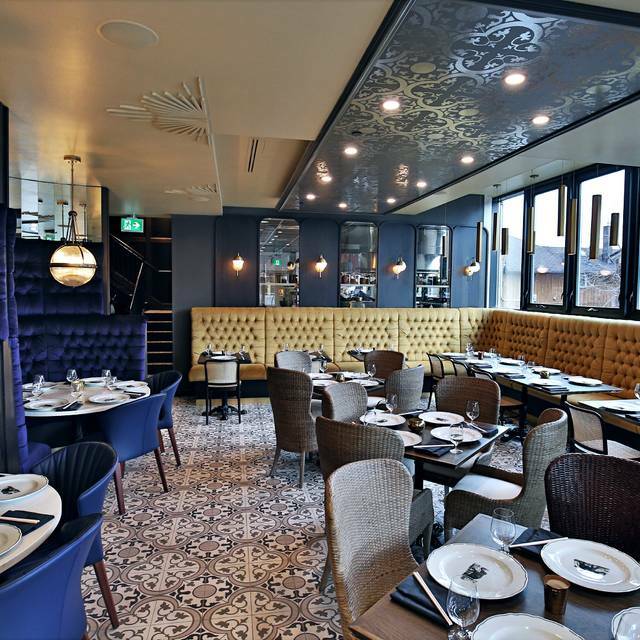 Loloan is one of the most upscale restaurants in Waterloo. 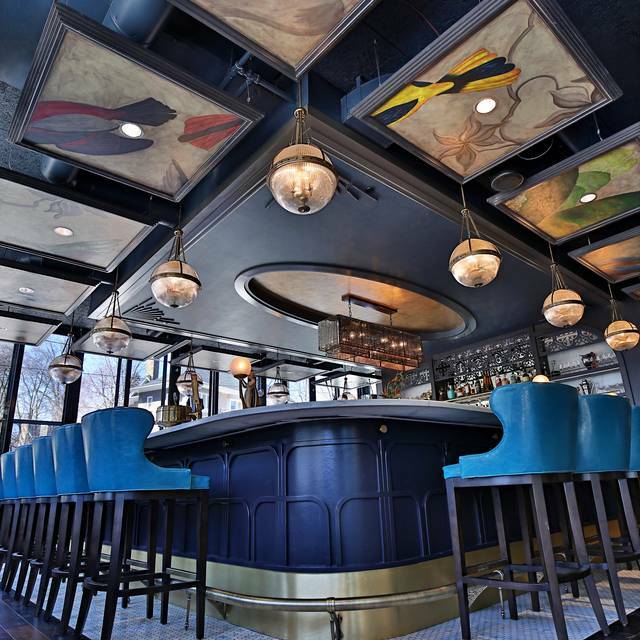 The drinks are incredible and the atmosphere is very elegant, reminiscent of a French bistro. 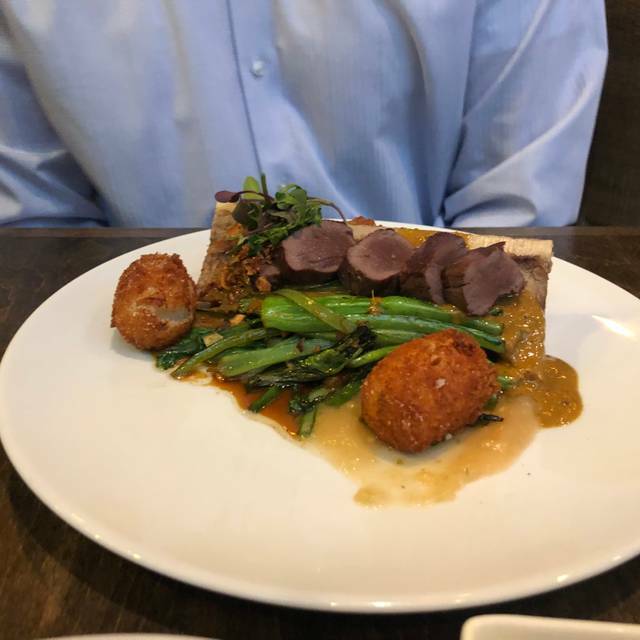 I was there on Valentine's day and the set menu was not up to the standard that I expected, particularly because the dishes are relatively expensive. I would definitely give it another shot though, perhaps the regular menu is more on point. A wonderful full-dining experience, well-worth its premium price point, for: cuisine and service. What a marvelous eating experience! The service was outstanding & we're not over-stating this. Our servers were attentive, full of energy and very helpful in guiding our novice choices. The cocktail aspect was mind-stretching with fresh and creative use of ingredients. Again our server was very helpful in getting our preferred flavors. The menu was broad and unique and our choices met our expectations both in taste and in timely delivery. We never felt rushed at all and enjoyed the ambience of the "old-world" décor. The waiter had poor knowledge of the menu. I took my friends, one of which is severely shellfish allergic. The waiter had to ask about virtually every dish as to the presence or absence of shellfish. Warning to others the mango salad has fish sauce and dried shrimp. At the end of the meal, we were informed that coffee was unavailable due to a technical problem. That is understandable as circumstances do happen but then why did the other table sitting next to us get coffee?? The restaurant was extreme cold albeit the outside temperature was very cold that night. This unfortunately translated to the serving plates. All if the main courses were room temperature at best. Waited for the final bill to be brought to our table for over an hour. Again if a restaurant us busy, things happen but in this case, there was only other one table still occupied at the time. Every dish was beautiful to look at, and lovely on the palate. Layers of flavours and textures, from the colourful amuse-bouche all the way to the Ca Phe dessert. Service was unobtrusive when appropriate and deeply knowledgeable about each dish. The interiors are lovely, unusual aesthetic that avoids cliche but communicates an idea with clarity. In spite of a nearly full house, the noise level was low and we could enjoy a peaceful dinner without struggling to be heard over other diners or a kitchen’s taste in music. 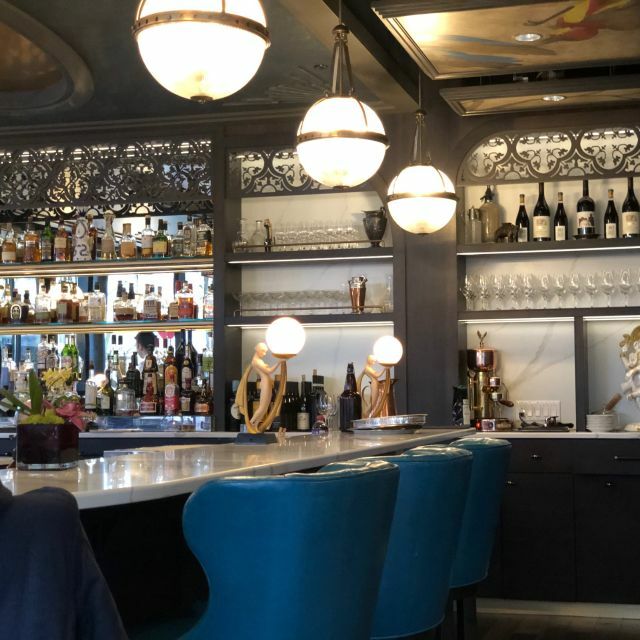 We chose a rear table to be away from the draft of the front revolving door, but imagine that in the height of our humid summers, that door would only enhance the central theme of French-Vietnamese fusion. We had a dinner for two for my boyfriends 30th. We enjoyed the price fixe menue and opted to choose our own pairings instead. The staff was so knowledgeable and the service was brilliant. Definitely not something I can enjoy often but eorth every penny. Ordered the prix fixe. Crab appetizer lacked flavor, lamb sirloin was served cold and was a bit small, banana roti dessert lacked banana flavor and had a tough chewy exterior that didn't make for an enjoyful dessert ending. Overall, the meal was subpar. Cocktails were on point though. Could see myself coming back for drinks before dining elsewhere.